If you have suffered a loss through negligent litigation services, when the proceedings have been lost or damaged, due to errors in obtaining evidence or preparing the case for Trial, you will not only have suffered a significant loss but will also rightly feel let down. When things go badly wrong it can be very traumatic and stressful and it can seem very difficult and daunting to obtain legal redress for your loss, particularly when your Solicitor is the one to have caused you the loss. The preparation of a case for Trial in a Civil or Employment claim or indeed in a Criminal or Family case is a very important part of your Solicitors work. The consideration of your instructions, the application of the relevant law and procedure, the collation, consideration and preparation of relevant documents and the obtaining of witnesses of fact and experts are each hugely important. Unfortunately errors in this work sometimes occur and it can have a very damaging effect upon your case, leading either to a less favourable result or worse still the loss of your case. 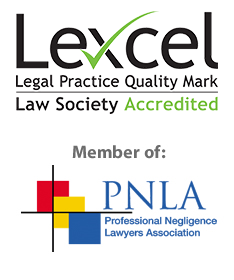 In these circumstances we are confident that we can help you obtain proper redress and compensation for your loss in a professional negligence claim against your Solicitor. It is important to use an experienced team when it comes to making any sort of claim against a Solicitor or other legal professional because these cases are often complex and difficult and the Solicitors and Lawyers’ Insurers will use many legal arguments to challenge your claim. This is particularly important when the subject matter of the claim is Litigation services. When a Litigation claim, defence or dispute goes wrong there are often difficult aspects to the case, which led the Solicitor to make a mistake. This gives the Solicitors’ Insurers the opportunity to argue that not only was there no negligence, but also even if there was, your claim or defence would not have succeeded or you would not have obtained the outcome, which you say, was lost by the Solicitor. We have specific experience of this type of claim having successfully pursued very many claims against Solicitors in respect of negligent Litigation Services. We can also draw on our extensive experience of dealing with Litigation.